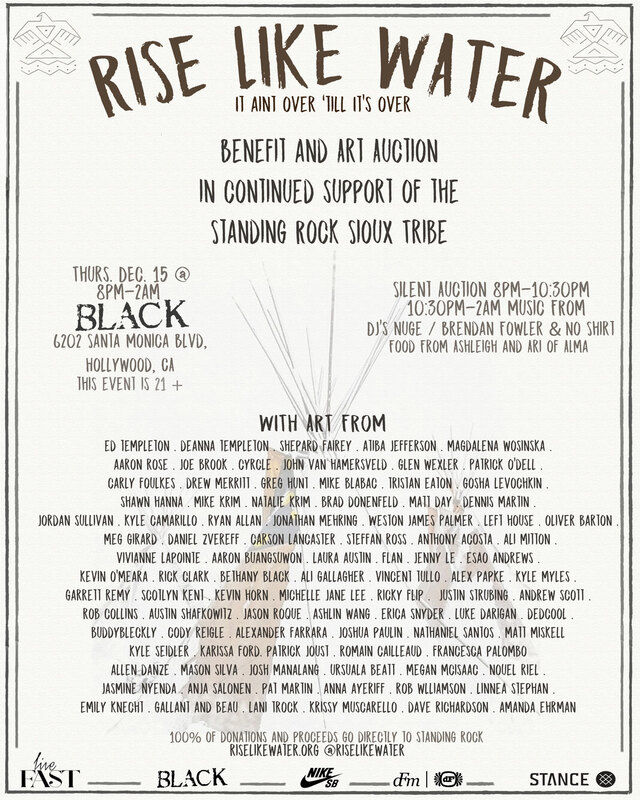 Join us this Thursday, December 15th at BLACK for Rise Like Water, a benefit and art auction in continued support of the Standing Rock Sioux Tribe. The fight isn’t over and we are dedicated to supporting the folks of Standing Rock until they are safe. With pieces from Esao Andrews, Ed Templeton, Atiba Jefferson, Ali Mitton, Magdalena Wosinska, Shephard Fairey, and dozens more, this is an evening that’s worth coming out for. 100% of proceeds will go directly to Standing Rock. $37.50 = 1 tractor scoop of wood. 1 bundle lasts 1/2 a day. Each party uses 2 bundles per day. $37.50 gets one party 3 days of warmth. The truck that brings this wood to and from camp carries up to 105 bundles, which is 52 days of warmth for any given party – that’s enough to last all winter! 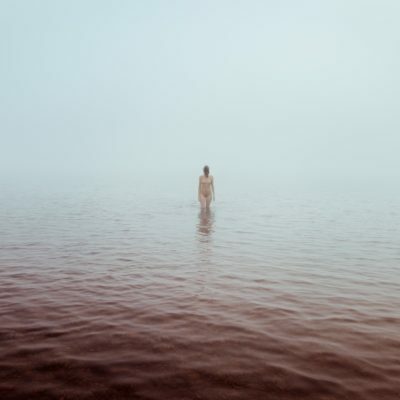 We’re nothing without water. We’re nothing without each other. Come out and support TOMORROW night at 6202 Santa Monica Blvd Los Angeles, CA 90038. See you there!